Yesterday my friend Brynne congratulated us on our apartment being featured on Apartment Therapy — and I had no idea what she was talking about. She sent me the link showing me our place at been posted on their blog a few days earlier. I submitted pictures awhile back, but really didn’t think they would choose us and got an email saying they would ask us more questions in an email if they did … but what a nice surprise. Apartment Therapy is one of my favorite sites to find home decor inspiration and I read it on the daily, thinking of when when have a house of our own. 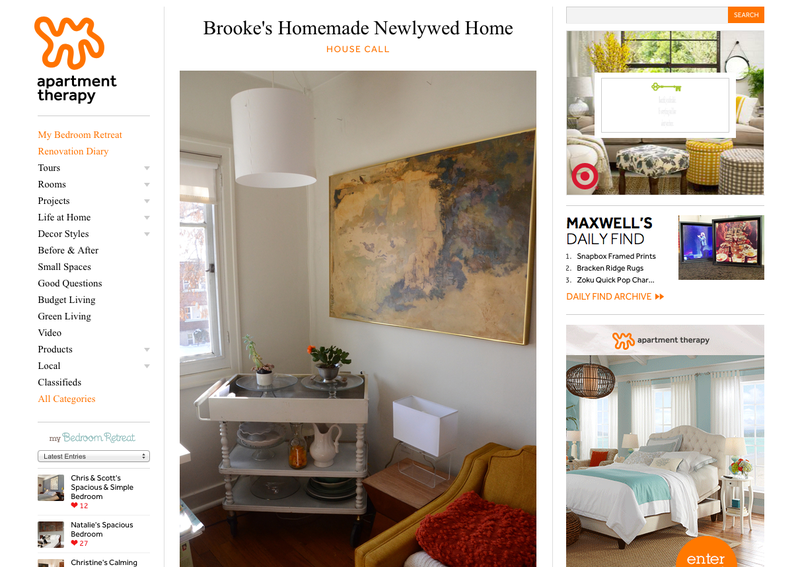 This entry was posted in featured and tagged featured, interior design, our apartment. Bookmark the permalink. Yay for you guys! So awesome! And definitely such a cute apartment! UH duhzies of course they would feature your apartment!!! It’s the most hip and happenin’. i love it.